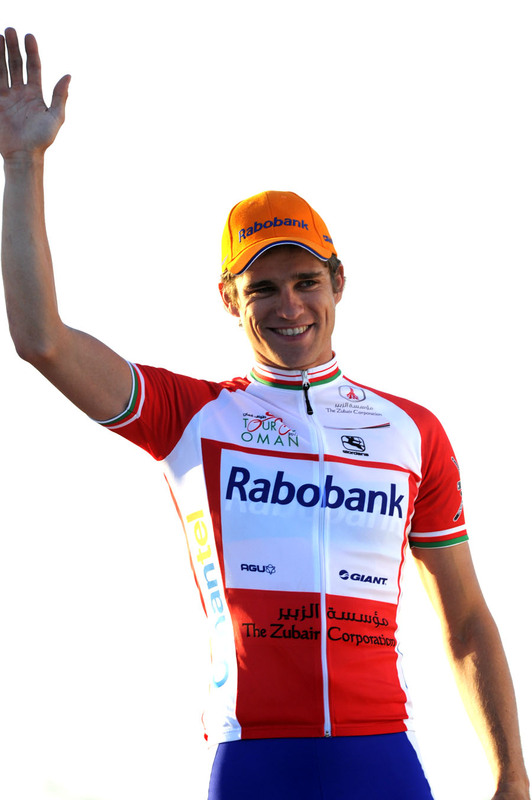 Rabobank’s Theo Bos overhauled Mark Cavendish (HTC-Columbia) and Skil Shimano’s Roger Kluge to win the first stage of the Tour of Oman on Tuesday, and with it the first red leader’s jersey. 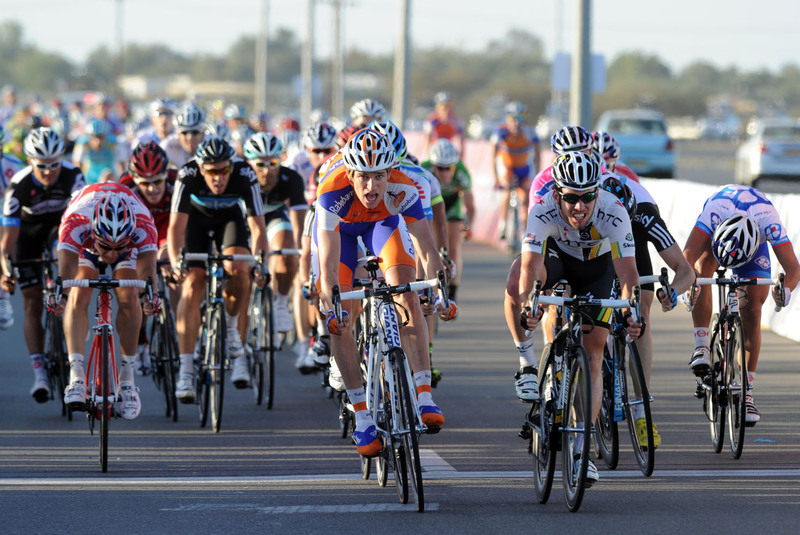 That the 158km pan-flat stage between Al Sawadi and Al Seeb, situated west along the coast from capital city Muscat, would come down to a bunch sprint was never in any doubt, which meant that the sprinters’ teams were happy for the day to be marked by a three-day breakaway composed of Astana’s Tanel Kangert, Pieter Serry (Topsport Vlaanderen) and British youngster Mark McNally of the An Post-Sean Kelly squad. The break got away 30 kilometres from the start, but was reeled in with less than 10 kilometres to go. 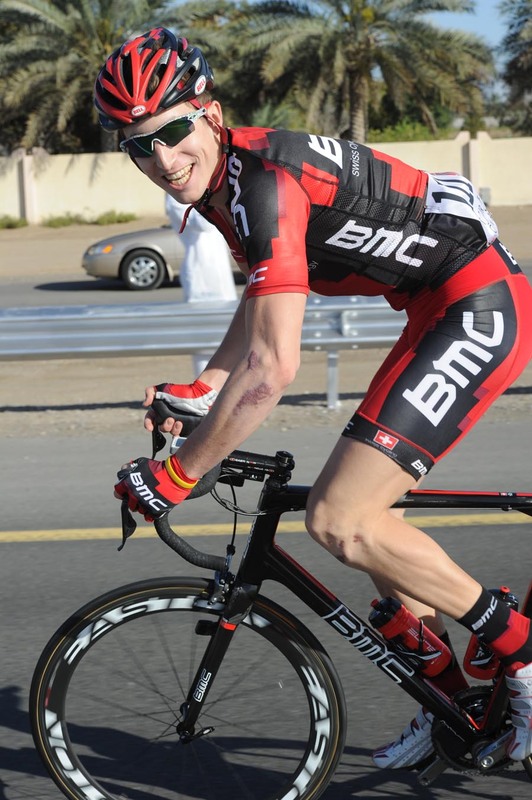 McNally had come to Oman having already ridden the Tour of Qatar. “That first day in Qatar was a shock to the system – I’m not going to lie,” he admitted. “After a winter of just doing steady miles, the speed just wasn’t there, but every day you get a bit better, and then we came here to Oman and had a few days in a nice hotel just chilling out and getting the legs back to full strength, and then today I was OK. The break reached a maximum of almost five minutes after 50 kilometres, but the peloton slowly reeled them in without trying too hard. With McNally’s day in the spotlight over, Sky kept the British end up by coming to the head of the peloton in the closing kilometres to try to set things up for Edvald Boasson Hagen, but it was Bos and Cavendish who emerged from the melee to duke it out for the win, with Kluge the best of the rest in third, and Boasson Hagen fourth. Bos was thrilled to have beaten Cavendish to victory. “It feels like a real relief to have taken a win this early in the season, not only for me but for the team,” Bos told Cycling Weekly, admitting that letting the break have its day made for an easier ride back in the peloton. “For now I’m going to enjoy having won the jersey, and we’ll do our best to win again and hold onto it. There are certainly more chances for us this week,” Bos said. Tomorrow (Wednesday) continues with another stage for the sprinters ahead of Friday’s eagerly awaited ‘queen stage’ with its summit finish on Green Mountain – Jabal Al Akhdar – at 1,235m, with its six kilometres of climbing at an average of more than 10 per cent.